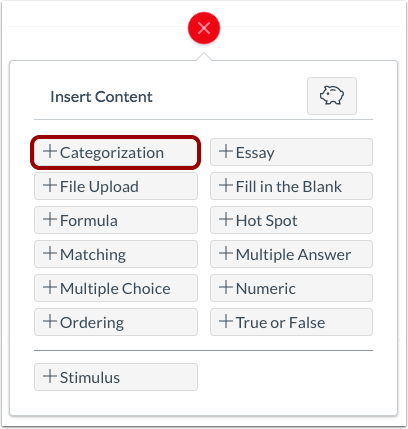 How do I create a Categorization question in Quizzes.Next? 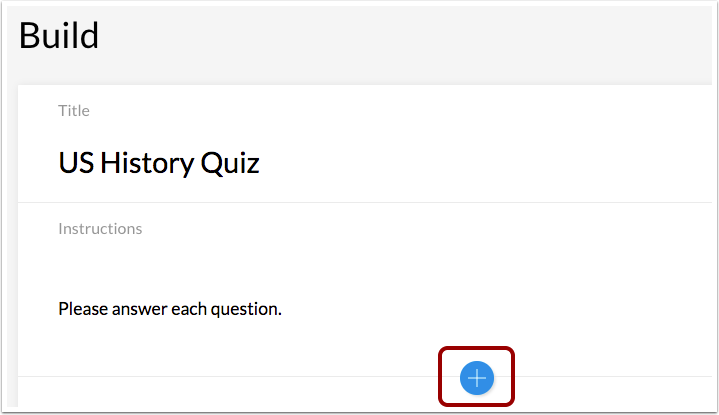 When creating an assessment, you can create a Categorization question in the Quizzes.Next. Categorization questions require students to place answers in the correct categories while ignoring all distractors. Click the Add Categorization button. To name a category, type the name in a Category field . Each category must have a unique name. To add a new category, click the Add Category link . To delete a category, click the Delete icon . To add an answer for a category, type the answer name in an Answer field below the category where it belongs . To add a new answer, click the Add Answer link . To delete an answer, click the Delete icon . 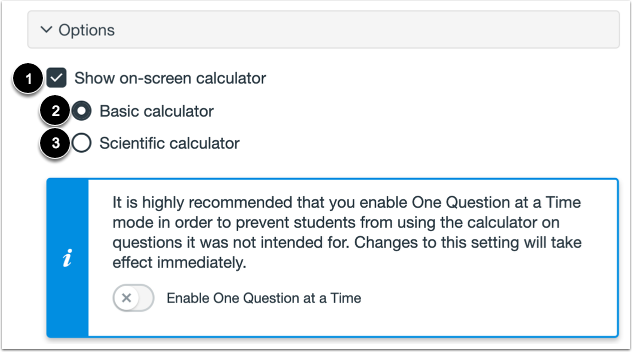 You can also add distractors to a question. Distractors will appear with the answer choice but do not belong to any of the categories. To add a distractor, click the Add Distractor link  and type the distractor name in the Additional Distractor field . 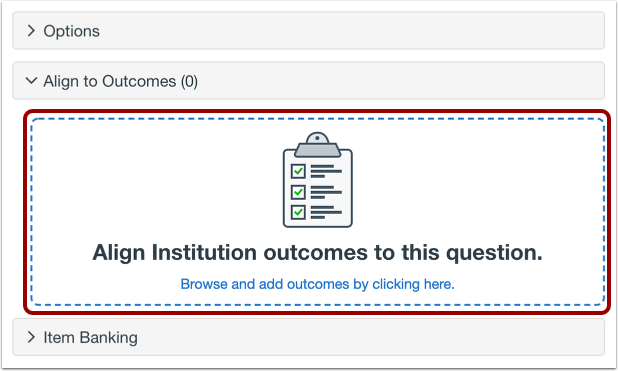 Previous Topic:How do I import an assessment from a QTI package in Quizzes.Next? Next Topic:How do I create an Essay question in Quizzes.Next? Table of Contents > Quizzes.Next > How do I create a Categorization question in Quizzes.Next? Re: Partial Points for Categorization questions?